Although we've compiled some great tips on how to succeed in kettle smoking, after using my grill for years to smoke meat low-and-slow, I have to say that it wasn't until I graduated to a smoker that I started creating truly worthy barbecue. 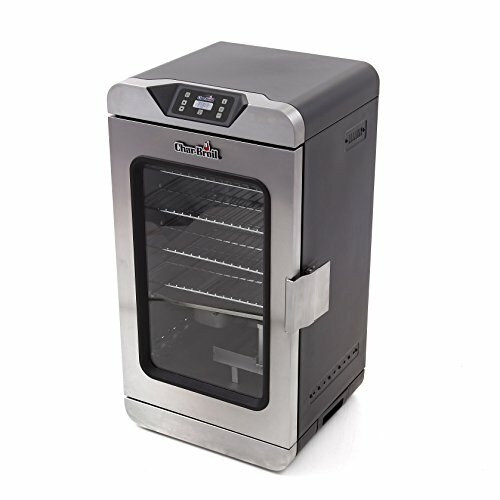 So what's the difference, and why do you need a smoker? Here's a breakdown between two racks of baby back ribs, one done on the smoker, one on the grill, on the same day, using the same recipe. The one source of frustration for me when smoking on a kettle is temperature control. A kettle grill needs constant hand-holding, with checks on the temperature almost every 15 minutes to make sure the fire is still burning and running low. In my early, naive years, I was in awe of the pitmasters who could reign in a consistent temperature, showing a true skill in the art of being master of the flames. Then I bought a smoker. The first time I fired that baby up, she wasn't as steady as she is now after years of smoking, but I habitually checked the temperature every 15 minutes and found that it was staying within a 5 to 10 degree range up or down and required no extra work. I began to trust and feel out my smoker, and am at the point now where I can check it relatively infrequently (about every hour), and feel good about firing it up, adding in a brisket, and hitting the sack if I'm doing an overnight cook—that's pretty impossible with a grill. As you can see from the graph above, both the smoker and kettle took about the same time to get to the temperature. Once there, the smoker held fairly steady with no additional maintenance besides stirring the coals once. The kettle's temperature, on the other hand, varied widely. I was able to keep it in a good smoking range between 225 and 275°F, though, with one exception (when I opened the air vent and walked away for too long). This required constant fussing with the air vents and adding extra coals to the fire twice while cooking. For each rack of ribs, I used the same amount of smoking wood—three chunks of pecan and three chunks of apple. The results between the two devices were pretty stark. Not an absolute measure of smoke penetration, but the smoke ring—a pink ring created at the surface of the meat formed when nitrogen dioxide from wood combustion mixes with the natural moisture in the meat and forms nitric acid—was way more defined on the ribs done in the smoker. The kettle ribs had a much lighter smoke ring, and tasted side-by-side, weren't nearly as packed with smoky flavor. Of course, this is an easily solvable problem in a kettle. Just add more wood. Both in the kettle and smoker, finding the right amount of smoke is a game of trial and error, but what this test does show is that smoke is absorbed to a greater extent in the device whose main purpose is to deliver smoke to the food. When it comes down to it, fiddling with temperature and smoke absorption is small potatoes to how the ribs actually taste. As I mentioned before, it wasn't until I got a smoker that I started producing the highest quality barbecue. These ribs brought back memories of the old days next to the grill when the racks just weren't up to snuff. The ribs from the kettle were good. The meat was juicy, smokey, and fairly tender. I had some friends over to help me eat through the racks. "These are totally serviceable," said one of them about the kettle-done ribs. Now I don't know about you, but "serviceable" doesn't cut it for my barbecue. I want greatness, and the smoker-done ribs earned that title. They're juicy, smokey, and tender, but to a much greater degree. It was that perfect level of tenderness where the meat easily pulls off the bone then melts in your mouth, and fills it with the smoky flavors. The rub creates an excellent bark too. These ribs were the food of the gods, as proven by how fast they flew off the plate. 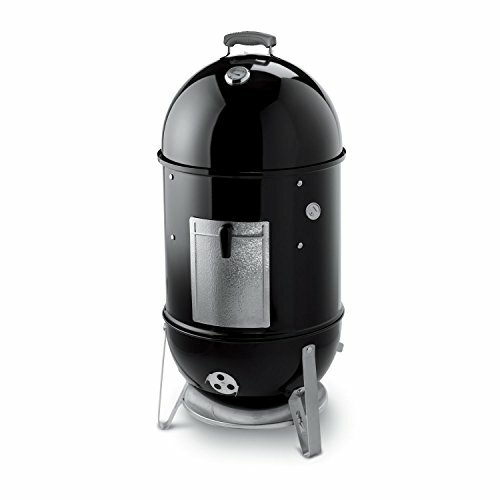 OK, I'm Convinced, What Type of Smoker Should I Buy? 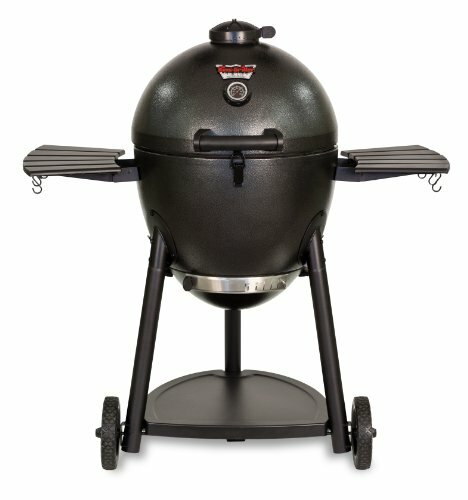 I'm happy to see you're ready to shop for a smoker already! The world of smokers gets even trickier than grills, though, with many types out there made by a whole host of companies. That'd really require a separate post to cover all that territory. I've been satisfied with my Weber smoker, which comes in 18.5" and 22.5" models. This water smoker uses charcoal as its main fuel source and has a devout following like none other. Another popular option is a ceramic cooker, or Kamado, like the Big Green Egg. These heavy beasts will set you back a pretty penny, but excel in both high heat grilling and low-and-slow barbecue due to their thick, ceramic walls. The heat retention also means the coals go longer than in the Weber Smokey Mountain. We also have a whole review about the best smokers under $500. You also have all sorts of gas and electric smokers, both of which bring "set-it-and-forget-it" into the realm of barbecue by using heat sources that remain consistent throughout long cooks (although a change of a gas cylinder could be needed). Many of these models offer more cooking area than their charcoal counterparts. It also seems worth pointing out that inexpensive offset smokers don't look like a good option, from what I've heard. While the cheaper pricetag can make them sound more attractive, the temperature is hard to control and makes for uneven heat in the cooking chamber. If you're still reading this and don't own a smoker yet, what are you waiting for!?? !